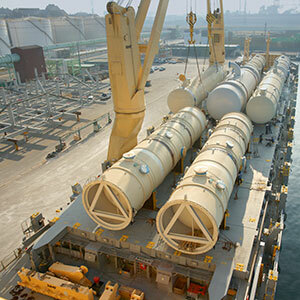 CKB has created a niche for itself in the project cargo logistics movement vertical. With a team of dedicated operations team, who have an extensive understanding of the challenges, CKB, using its multimodal capabilities to the fullest can handle projects of any size, weight and dimensions and deliver it to any destination across the globe. CKB has both the equipment and the technical expertise to manage and deliver a project completely from start to finish. A good rapport with liners and break bulk operators helps us to offer customers a highly reliable and competitive service.